I heart faces challenge this week is ‘wind’. 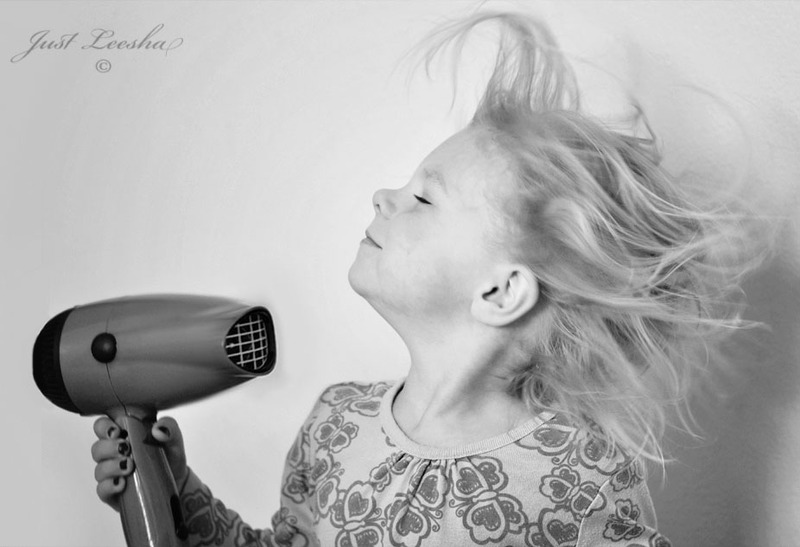 Knowing how much my girls love the blow-dryer I decided, why not just create our own kind of wind? Oh man, was it a FUN idea! Some of the outtakes I got were hilarious, but this one of Sis really captured it for me. I feel a call from Conair in her future. Very creative and clever 🙂 Sis may have a future has a blow-dryer model! I love her facial expression! How spunky and cute! So clever and original! Love the whole expression & funky hair.. too cute! I love how the hair is sticking straight up on top! When nature doesn’t cooperate, you have to be creative! Love it!